Shimmering, wailing, rippling, humming, crashing, twittering, welling, creaking, scratching, stuttering, resounding, and slipping into silence: this is the soundworld created by Teletopa on Tokyo 1972. A short-lived and now legendary free improvisation ensemble based in Sydney, Teletopa was comprised of Geoffrey Collins (flute), Peter Evans (percussion), David Ahern (violin) and Roger Frampton (saxophone). Each member used contact microphones, and despite the indication of “electronics”, and the cornucopia of sounds we hear, acoustic instruments produce all sound. Teletopa’s sonic creations are mobile, bright, energetic and multifarious. Printed on the inside cover of this beautifully presented album is a quote from Teletopa member David Ahern: “Improvisation in its purest form, unpremeditated: structured only in the moment of its occurrence in the instant of now”. Concentrated on the now, on Tokyo 1972 the four players devote as much time to duo and trio configurations as group convergence, favouring an approach that allows each sound to resonate. Focus is the hallmark of all great improvisation, and Teletopa showcase this across the recording. An idea will be initiated and explored by one player, before one or two others venture into the same sonic territory, mimicking and complementing, finally helping to morph the original idea into something new. This is how free improvisation (usually) works, and Teletopa are certainly masters of this mode of music making. As far as free music goes, this is a relatively easy listen: the album does not venture into the relentless sonic schizophrenia that can characterise some improvisation. Episodes last for several minutes, or longer, before transitioning into new spaces; these segues are at times seamless performances of evolution, at other times the switch is more abrupt. Issued digitally, on CD and LP, I was lucky enough to listen to the vinyl, a format which somehow emphasised the organic space that binds each performer. Divided across three records (and running for 1 hour and 40 minutes in total), Tokyo 1972 presents two extended improvisations. In these exploratory performances, the group’s instrumentation, in concert with the mood and attention of the players, allows for little lower register sound, although an occasional bass drum does reach down from the tops of the trees where much of the music seems to carouse. All manner of extended techniques are on show: very little conventional playing of any of the instruments can be heard, a hallmark of much free improvisation, then and now. It is almost impossible to distinguish who is playing what: at times a flute, violin or saxophone is identifiable, but the dismantling of conventional technique and individual sonic identity is an obvious aim of the music. As David Ahern states (in text from a 1971 pamphlet, printed on the inside arms of the LP): “The term instrument is here used in an expanded sense, for Teletopa improvisation aims to use everything from traditional sound sources such as violin, saxophone, cymbal and voice to plastics (cups, containers), glass (window panes or sheets), floors (wooden, concrete, lino, tiled) cardboard and devices created by electronic technology.” Rhythmically, the music ranges between extremely diffuse – prompting the listener to approach what is happening with a larger frame of metrical reference – and intensely energetic. 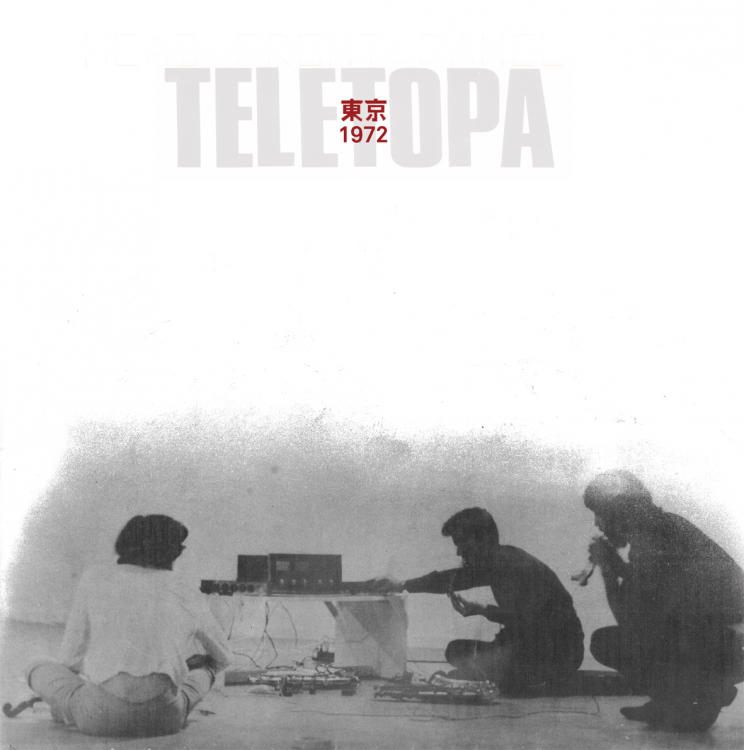 Teletopa’s music asks the listener to open up or abandon traditional musical concepts, and to instead think about the rhythms and melodies of texture, the relationship between louder and softer interjections, the presence of silence, and to forego musical development in favour of immersion in the moment. Following a stark opening, with pure, high register saxophone tones, the length of “Improvisation One” maintains the spaciousness of the opening ten minutes. A few eddies and swirls of greater density lead towards a more intense final third. Here the listener encounters what sounds like a human voice, amplified and manipulated almost beyond recognition; despite the extremely close amplification created by the use of contact mics, the music is warm, organic, human, and even at times almost conventionally melodic. Ideas are expressed with clarity, and there is seldom much noisy confusion and disorientation. In the closing minutes of “Improvisation One” the wild screams of a jungle of animals takes hold of the ensemble: roaring flute, screaming high register saxophone, and croaking, scratched violin strings are underpinned by ominous gongs. “Improvisation Two” follows a route by turns more abrasive and hypnotic, with side alleys of machine-like static. Midway through side E we encounter the only period of what could be called regular rhythm, with a repeated whirring figure accompanied by a bass drum. But despite the great variety of musical terrain, the album is a unified whole. Also included in the package is “A Potted History of Teletopa”, by Geoffrey Barnard, that maps Teltopa’s place within the contemporary contact points of improvisation and avant-garde composition. Bernard’s short piece is a wonderful accompaniment to the album, describing the emergence of Teletopa in Sydney in late 1970 from parent organisation AZ Music, as well as a wider musical landscape populated by figures like Cornelius Cardew, Karlheinz Stockhausen and Mauricio Kagel, the AMM ensemble, and the many groundbreaking festivals and concerts in Australia and Europe. Bernard, who played with the group for a time, recalls Teletopa’s February 16, 1971 concert at Sydney Town Hall: after 15 minutes audience members were storming out, and the concert eventually deteriorating into what critic Frank Harris called “a near riot”. The work of the members of the group in facilitating educational workshops and performing at important new venues, such as Inhibodress Gallery – the first artist-run gallery for “post object art” in Sydney – also underscores the significance of the group in the development of improvised music in Australia. 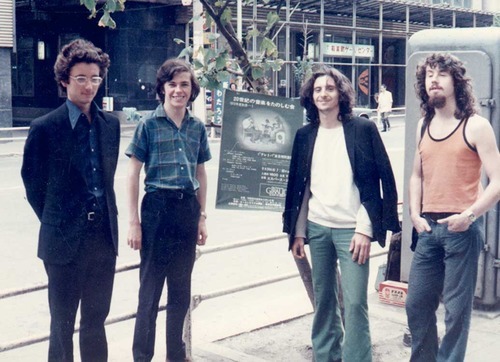 Bernard even relates the tensions that led to the groups’ disintegration, after their return to Sydney from the series of international playing dates that included the recording of this album at the NHK studio in Tokyo in September 1972. The value of this recording as a historical artefact cannot be overstated. Jim Denley, who mastered the album, (Denley is better known as an international performer of free music, and Sydney mentor to free improvisers) has spoken about the importance of this album as a musical forebear to the free improv scene that flourishes in Sydney’s underground music venues today – a community that shows its face every year at “The Now Now” festival of exploratory and improvised music. Writing about improvisation, Ahern states: “Pure improvisation is a blank sheet of paper admitting no filters except the instant of performing and in practice, it is a utopia aimed for but just not reached.” The suitably pure white album design, with a selection of black/white/grey photographs of the group, lend weight to the idea of the album as a once lost relic – the great manifesto of a mythical musical organism – now recovered for new generations to appreciate.